Newest Opioid Training for Providers - Bergen ResourceNet Applying CDC’s Guideline for Prescribing Opioids interactive online training series for healthcare providers. 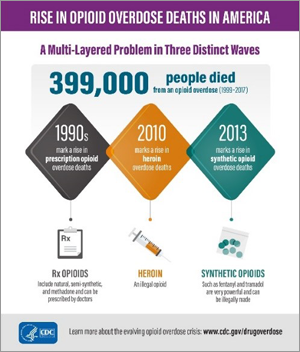 CDC released the final three modules in the Applying CDC’s Guideline for Prescribing Opioids interactive online training series for healthcare providers. The latest modules focus on, Opioid Use and Pregnancy, Motivational Interviewing, and Collaborative Patient-Provider Relationship in Opioid Clinical Decision Making. In these self-paced modules, providers will learn about opioid considerations in pregnancy, patient-centered communication practices, and approaches to shared, opioid decision-making. Each module includes clinical scenarios, knowledge feedback prompts, and a resource library to help enhance learning. CDC has released a new report of final 2017 data detailing the growing number of drug overdose deaths in the United States. The Morbidity and Mortality Weekly Report, Drug and Opioid-Involved Overdose Deaths – United States, 2013-2017 examines increases in drug overdoses and deaths involving opioids across prescription opioids, heroin, and synthetic opioids other than methadone by demographic and geographic characteristics. In 2017 alone, there were more than 70,000 drug overdose deaths, which was an increase of more than 6,600 deaths from 2016. This was a 9.6% increase in the overdose death rate, continuing the increase observed since 1999. Opioids are a significant contributor to the rise in drug overdose deaths, especially synthetic opioids, like illicitly-manufactured fentanyl. Middle-aged women remain vulnerable to death by drug overdose, according to a Morbidity and Mortality Weekly Report (MMWR) released this week CDC examined overdose death rates among women aged 30–64 years during 1999–2017 overall and by drug subcategories (all opioids, antidepressants, benzodiazepines, cocaine, heroin, and prescription opioids). Growth in the availability of illicitly manufactured fentanyl (IMF) starting in 2013 contributed significantly to the U.S. opioid overdose epidemic. This report analyzed the numbers of fentanyl drug submissions—drug products obtained by law enforcement—to state, local, and federal laboratories in the U.S. during 2010–2017. The number of US fentanyl submissions observed between July and December 2017 declined by 2% compared to January–June 2017, after increasing an average of 87% during each consecutive half-year period beginning in the first half of 2013. The decline in 2017 coincides with a stabilization in synthetic opioid overdose deaths excluding methadone (e.g., primarily fentanyl) starting in the second half of 2017. The three states with the highest numbers of fentanyl submissions in the first half of 2017 (Ohio, Pennsylvania, and Massachusetts), experienced an average 13% decline in submissions in the second half of 2017. The rate of fentanyl submissions increased in the South by 8% and in the West by 36% during 2017. While the findings indicating decreasing fentanyl submissions nationally are promising, they should be interpreted with caution because of the potential for subsequent increases and the regional variations seen. 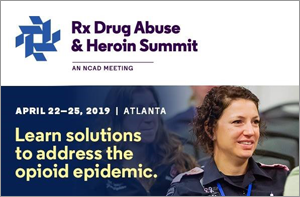 Distributing naloxone and expanding efforts to provide linkage to care are effective strategies to help address the U.S. opioid overdose epidemic. Overall, opioid prescribing is significantly higher among primary care providers in nonmetropolitan counties than in metropolitan counties. This report analyzed prescribing rates among primary care providers in the U.S. between January 2014 and March 2017 to evaluate trends in opioid prescribing to determine if prescribing practices were associated with population densities (nonmetropolitan and metropolitan counties). Opioid prescribing was significantly higher among primary care providers in nonmetropolitan counties than in metropolitan counties, although patients in all county groups saw a decrease after March 2016. Carefully designed intervention programs can consider the community characteristics they serve to achieve the best results. Gastroschisis, a serious birth defect affecting the abdominal wall, is strongly associated with young maternal age but research suggests that prescription opioid use may also be a risk factor. This report analyzed data from 20 state surveillance programs to assess age-specific gastroschisis prevalence from 2006 to 2016 by annual opioid prescription rate categories. Gastroschisis prevalence increased only slightly from 2006-2010 to 2011-2015. During 2006-2015, the prevalence of gastroschisis was higher where opioid prescription rates were high. Public health research is needed to understand the possible impact of prescription opioid use during pregnancy on neonatal outcomes in order to provide evidence-based information to healthcare providers and women about potential risks to the developing fetus.